During the Christmas season it’s not just our waist lines we should be worried about. With all the parties, chocolate gifts and extra hockey games the kids play during Christmas tournaments, we need to pay extra attention to our teeth and gums. With the increased intake of sugar through sweets, alcohol or sports drinks to hydrate during hockey games, we need to take extra care of our teeth. When it comes to our teeth, it’s not about how much sugar we consume rather how long it stays in our mouth. Here are some simple steps to protect your teeth and your smile. Don’t forget to floss. It’s especially important to get the food out that is stuck in-between the teeth. 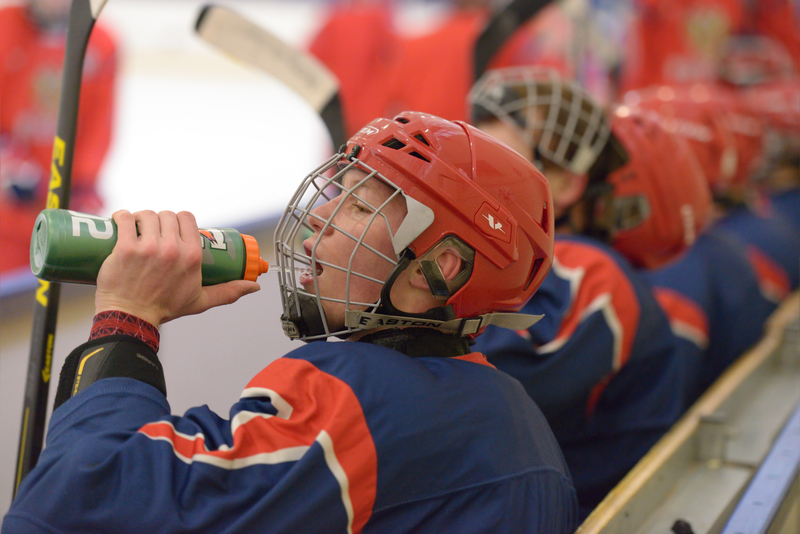 Drink water during hockey games as the sugars from sports drinks get locked in your teeth with the mouth guard. Try eating sweets during meals and not between. Replace your toothbrush every 3 months or after having the cold or the flu. Be sure to visit your dentists every 3-6 months. Wishing everyone a great, happy, healthy and white holiday season!